The Judean Desert, also known as the Desert of Judah and the Judean Wilderness, is located southeast of Jerusalem, along the western shore of the Dead Sea. The desert contains the Judean mountains as well as many steep ravines. The desert’s climate is generally warm throughout the winter, and in the summer months, the temperature soars to over 40 degrees Celsius. In terms of rainfall, the eastern slopes receive as little as 47mm annually, while the western slopes receive up to 500mm. Due to the regions mountains and narrow streams, rains from Jerusalem and Bethlehem flow south and can cause flash floods which are extremely dangerous for unsuspecting hikers. The Judean Desert has a deeply significant place in the history of Israel and the surrounding region. The first recorded settlement took place over 12,000 years ago. This settlement was named Jericho, a city which still exists today and is the oldest continuously-inhabited city in the world. Other inhabitations include Ein Gedi, a 6,000-year-old desert oasis, and the ancient Mar Saba monastery. Many Biblical stories took place in the Judean Desert. 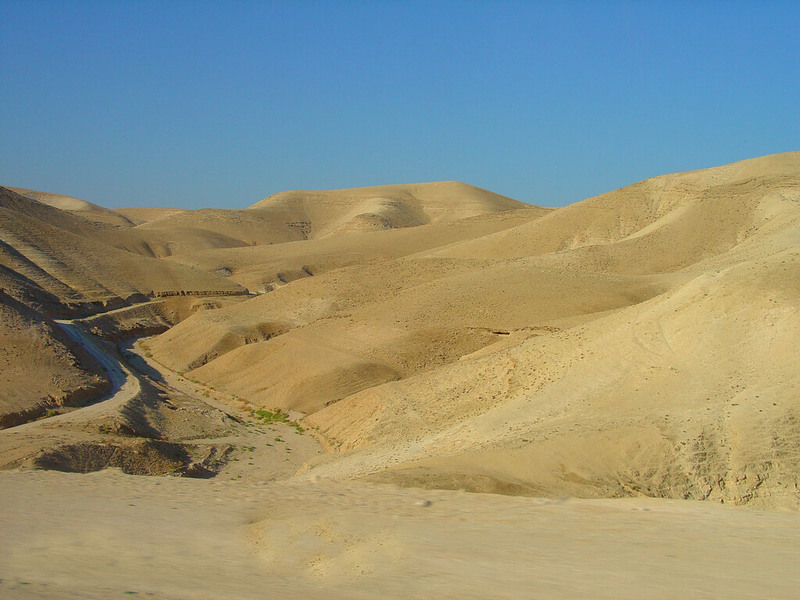 Due to the mountainous terrain, the desert was an excellent place of refuge throughout the biblical era. During the reign of King Saul, the first king of Israel, King David, then a palace servant, was accused of organizing a rebellion. David and his men fled to the desert to hide from Saul and avoid execution. Many years later when King David’s own son, Absalom, formed a rebellion against him, King David once again fled with his army to the Judean mountains. In the New Testament, the Judean Desert was the location for Jesus’s self-imposed exile. According to the New Testament, during His 40 days and 40 nights of wandering, Jesus encountered Satan on the Mountain of Temptation in the Judean Desert. Judea during the Jewish Revolt. During the Bar Kokhba revolt, also known as the Third Roman-Jewish war, the Sicari (Jewish rebels) fortified themselves in Masada, a mountain plateau in the heart of the desert. They were besieged by the Roman army and they eventually committed suicide, rather than face capture. Throughout history, the Judean Desert has been continuously inhabited. Major cities, such as Jericho have existed for thousands of years, as well as dozens of monasteries, and desert oases. 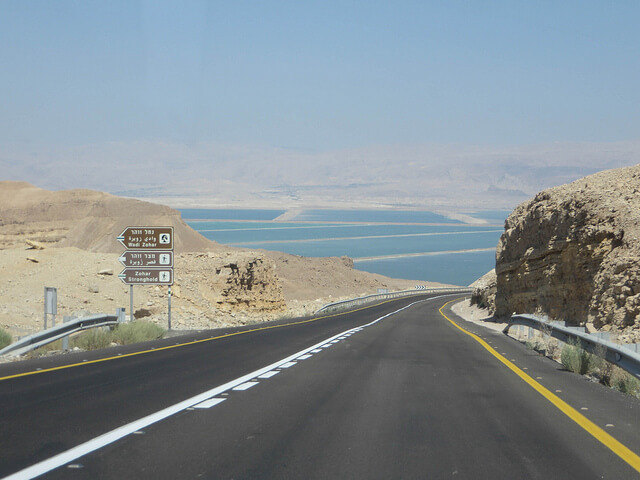 In recent years, post the establishment of the State of Israel, new cities, such as Arad, have been built and the southern coastline of the Dead Sea has become a major tourist destination. Over the past few decades, many incredible historical discoveries have been made in the Judaean Desert. The most famous of these is the Dead Sea Scrolls. 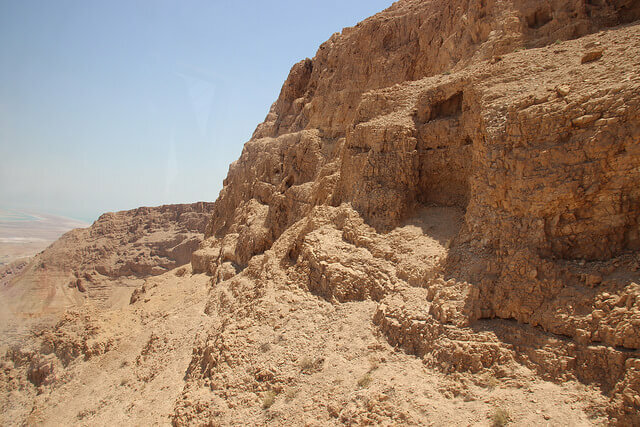 Less than a century ago, Bedouin Arabs discovered the Qumran Caves. Here, many ancient Hebrew manuscripts were found, dating back several millennia. These scrolls are the oldest known surviving manuscripts of the Hebrew Canon. Today, the scrolls are housed in Jerusalem, but you can still visit the Qumran Caves. Today, the Judean Desert is one of the region’s best tourist destinations. 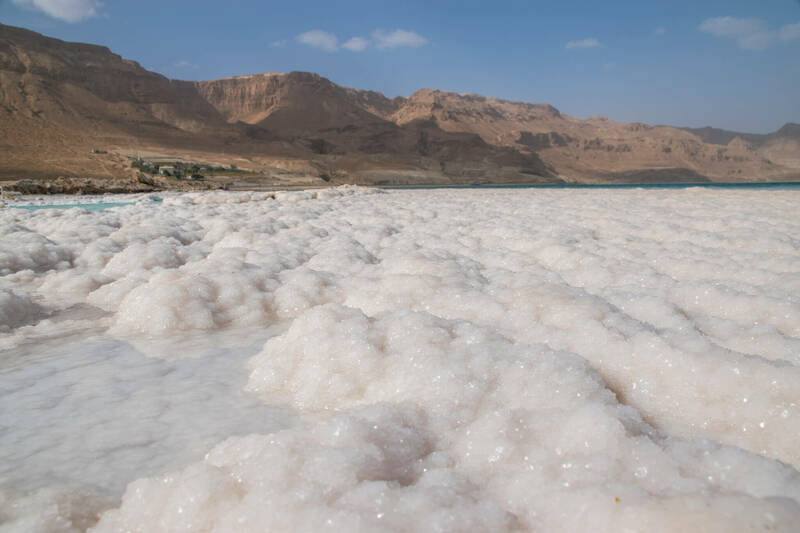 There is plenty to enjoy here, including hiking through the mountains, swimming in the pools of the Ein Gedi Oasis, relaxing by the shore of the Dead Sea, and the Judean Desert jeep tour. For hikers, we recommend the Wadi Qelt. Here you can enjoy some of the most amazing hikes in the Middle East, as well as some spectacular and rare flora, fauna. Along the route, you will encounter many historical sites, such as the Monastery of Saint George. For history buffs, Masada is the place to go. Here you can witness firsthand how the Jewish rebels lived out their final days under Roman siege. For Christian tourists, the Monastery of the Temptation is built on the site where Jesus denied Satan’s attempts to lure him away from God. Finally, there’s the Dead Sea. A salt lake which is also the lowest place on land in the world. The salt concentration allows you to float effortlessly along the water, without needing to swim. There are many places to stay in the Judean Desert. You can choose from a number of campsites, guest houses, or even stay at a kibbutz, whereas the most luxurious resorts and hotels are mainly concentrated along the Dead Sea’s coastline in Ein Bokek area. The desert is easily accessible by car or public transport. From Jerusalem, it’s just a few hours drive south along route 90 until you reach Ein Gedi and Masada. Private tour guides are available to share the history and geography of the region. For bus options, there’s the 486 which leaves daily from Jerusalem Central Bus Station, full details can be found here. From Tel Aviv, the 421 bus leaves each day from Savidor Central Station, full details and pricing can be found here.